Mercedes-Benz E-Class Review 2019 | What Car? The E-Class has always been a car with a broad remit – it has an established presence in saloon, estate, coupé and even cabriolet guises. The saloon, in particular, has always been one of the best cars of its type, despite competing in a class full of very strong contenders. Today, the E-Class continues that theme. It has a smart interior and delivers a comfortable ride – particularly if you steer clear of, bigger, upgraded alloy wheels. The saloon range comprises two 2.0-litre diesel versions, a more expensive V6 diesel and a plug-in hybrid petrol-electric model. In the Mercedes-AMG range, there’s a V6 petrol sports model dubbed E53, as well as the top-of-the-range E63 S, which you can read about here. So can this latest E-Class build on its illustrious predecessors and does it still stack up against the BMW 5 Series, Audi A6 and Jaguar XF in this ultra-competitive set? 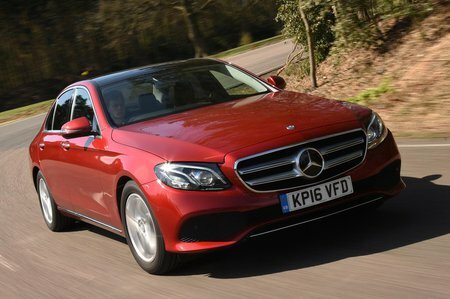 Read on over the next few pages to get our in-depth impressions on the E-Class, along with our final recommendations for trim levels and engines.